9 Bachelor podcasts to take home with you this season! Don't miss Reality Steve, Ben and Ashley I, Channel 33, and more. We separate the wheat from the chaff to help you find the podcasts that are here for the Right Reasons. We separate the wheat from the chaff to help you find the podcasts that are here for the Right Reasons. All of the latest episodes are streaming now on Bachelor Nation Radio. 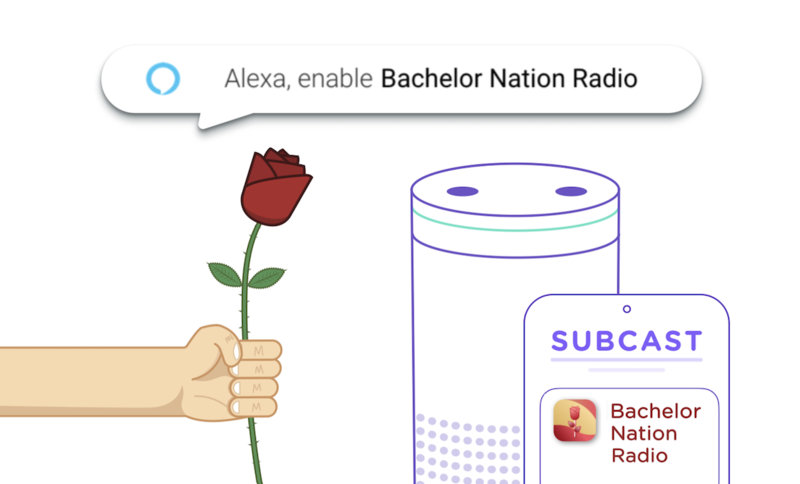 Download the Subcast apps (iOS and Android) and tap on the “Bachelor Nation Radio” station. Or just shout at your Alexa, “Alexa, enable Bachelor Nation Radio” and it will start playing for as many hours as you can stand. Easy! Bachelor Party (The Ringer) — Juliet Litman has been hosting this podcast for a long time, and is equally fan girl as she is cynical about the entire Bachelor franchise. Juliet is a solid recapper and interviewer, asking her interviewees tough questions, which occasionally get dodged (cough Nick cough), but often yield satisfying insights into the psyche of the people who go on these shows. Here to Make Friends (Huffpo) — Claire Fallon and Emma Gray make us feel like we're gabbing about The Bachelor with our best friends. Like Juliet, they’re a mix of fangirl/cynical about The Bachelor, and consistent bring on the snark. One caveat is that this podcast is a bit more socially conscious/ “woke” — for example, every episode ends with a “Feminism Fails” segment where they point out incidents of sexism, racism, etc., on the show. Reality Steve — Reality Steve is a bit of a controversial figure in Bachelor land, as many fans don’t like spoilers. He’s become somewhat of the “go-to” person for scorned ex’s of current contestants — his latest podcast is interviews with Arie and Peter’s ex-girlfriends, and it’s every bit as salacious as you’d think. Your Favorite Thing Podcast with Wells & Brandi — While most Bachelor Nation podcast hosts sound like they’re learning the ropes on the job, this podcast sounds more professional, and that’s probably because Wells Adams has had years of practice as a radio DJ in real life. Kaitlyn Bristowe Off the Vine — Enjoy Kaitlyn's unfiltered, wine-fueled hot takes, as well as her insider perspective on what goes on behind the scenes on the show. Her insider-ness also gives her access to several A-list (well, in Bachelor universe) guests, like Andi Dorfman, Britt Nilson, and Wells Adams. 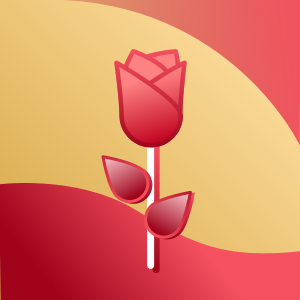 Will you accept this rose? — Hosted by comedians Arden Myrin and Erin Foley, this podcast has some pretty funny guests, like Thomas Middleditch (of HBO’s Silicon Valley fame) and Rob Benedict (of Felicity fame). However, it’s a bit on the raunchier side, so earmuff up your kids if you’re listening in the car. Ben and Ashley I Almost Famous Podcast — Ben nor Ashley are quite connected to the Bachelor Nation “network” — based on their Instagram accounts, they only hang out with ex-Bachelor folks. So they have a lot of the inside scoop on what ex-contestants (including themselves) were thinking and feeling behind the scenes. Fresh Batch with Michelle Collins — Michelle Collins is a comedian and Bachelor franchise insider, as she’s hosted After Paradise, the after-show for Bachelor in Paradise. This gives her the advantage not only of having good insights into the franchise, but also having a good lineup of guests that slant towards other journalists or comedians, as opposed to members of Bachelor Nation. However, she does self-censor her snark, which she attributes to concerns about not being asked back by ABC to host or guest host future shows. Don’t hold back so much, girl!